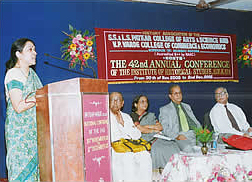 This academic year, the History Association of our College, hosted the 42 nd Annual Session of the National Conference of Institute of Historical Studies. The all India theme of the conference was "Business Communities in India " and the local theme was "Migration in Maharashtra : Its Impact and Challenges". About 90 delegates from various states of India registered for the conference out of which about 72 delegates attended the conference. Totally 27 papers were read on both the themes. The inauguration of the conference was done on the morning of the 30 th of November. Dr. U.C. 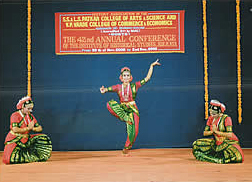 Mashelkar, Principal of the College, welcomed the delegates, this was followed by Shri. Kishor Rangnekar, President of the Chikitsak Samuha, giving the brief history of the College. Dr. G.V. Pandit was a guest in the dais. 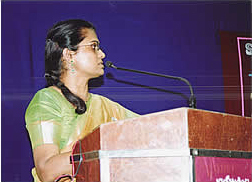 The Director of the IHS, Dr. Sukumar Bhattacharyya gave his introductory remarks and the local secretary of the conference Dr. (Smt) Usha R. Vijailakshmi talked about the aims and objectives of the conference. 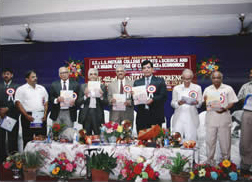 The chief Guest for the inauguration was Dr. A. D. Sawant, Pro-Vice Chancellor, University of Mumbai . He released a souvenir entitled "Sarupa" on this occasion.